Bollywood actor Varun Dhawan is currently in a happy space with the grand success of his movie Badrinath Ki Dulhania. 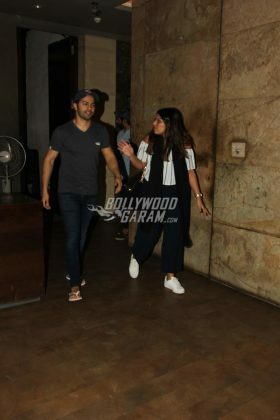 The actor put in a lot of hard work in terms of the promotions along with co-star, Alia Bhatt and is now spending time with his lady love. 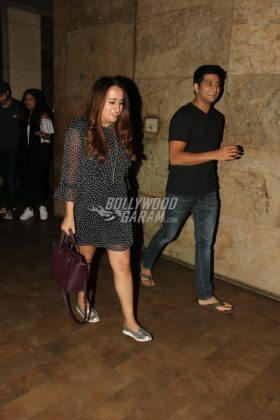 The Badlapur actor was snapped with girlfriend Natasha Dalal at the special movie screening of Hollywood film, The Boss Baby held in Mumbai on March 30, 2017. Varun was seen in a casual t-shirt and denims while Natasha was seen in a little black dress with polka dots. 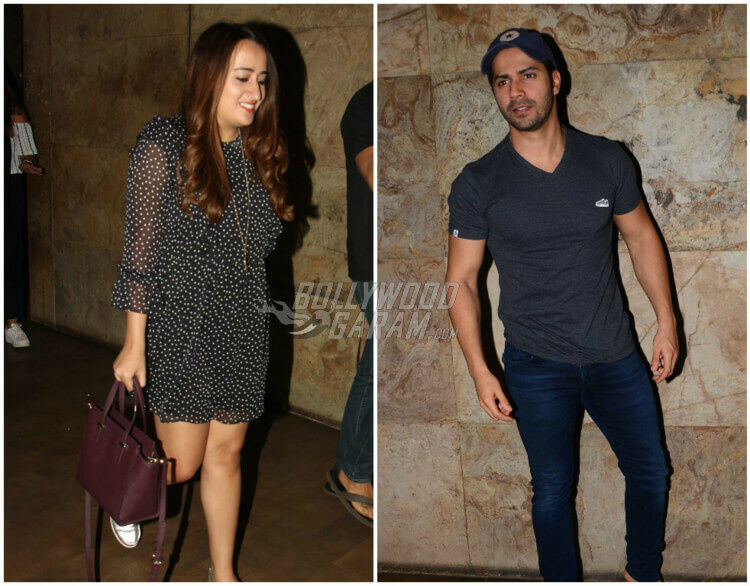 Varun recently came out in the open about his long relationship with Natasha when asked about her in an interview. 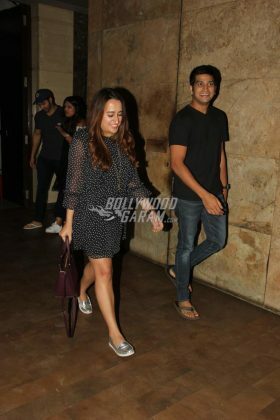 He stated that he likes keeping details of his personal life under wrap as he doesn’t want the focus to shift from his career. 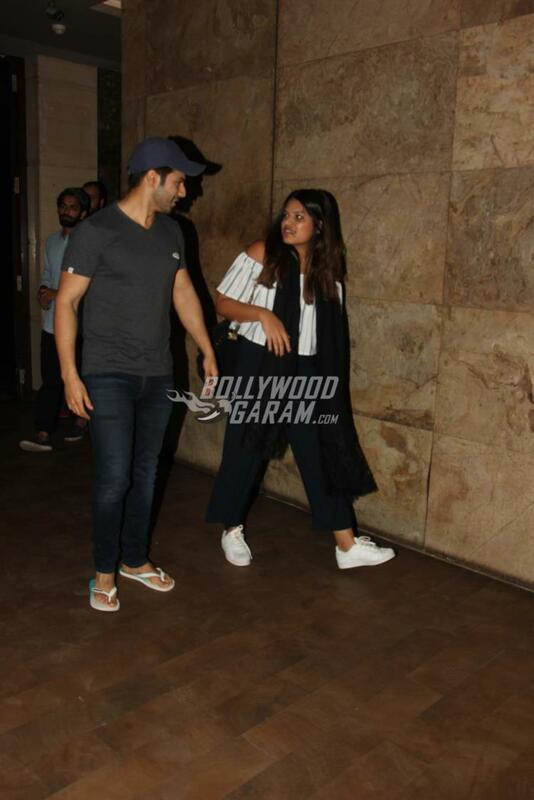 Varun’s girlfriend Natasha has been seen supporting him on various occasions, be it Badrinath Ki Dulhania movie screening or other events. The two are often seen traveling together and what caught everyone’s attention was when Varun and Natasha came in for Shahid Kapoor’s pre-birthday bash, walking hand in hand. 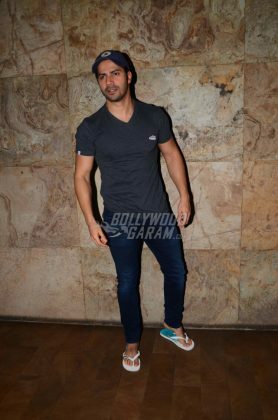 On the work front, Varun Dhawan is slated to start shooting for his upcoming project, Judwaa 2. Directed by David Dhawan, the movie will be a sequel to the Salman Khan starrer Judwaa and is the second collaboration between the father-son duo. 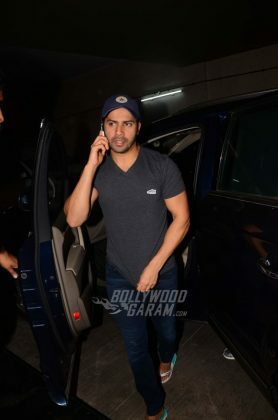 Varun has previously worked with father for his romcom, Main Tera Hero. Recently Varun Dhawan was snapped visiting his mentor Karan Johar’s twins Roohi and Yash.